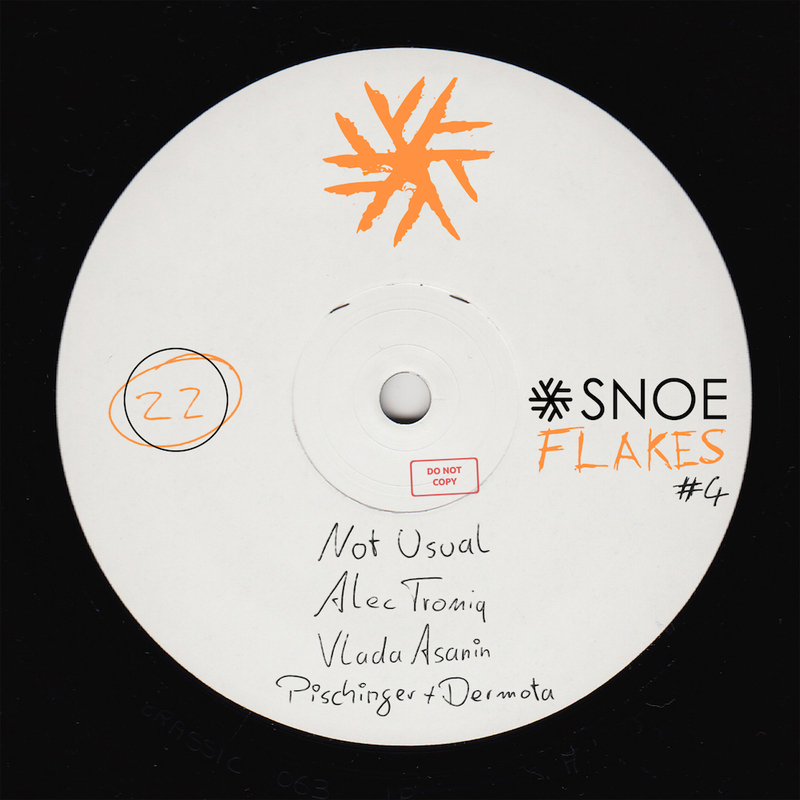 SNOE sets the summer off with a massive various artist release, filled to the brim with energetic high quality techno and tech house. SNOEflakes #4 delivers an exquisite selection of tracks suitable for every possible moment between the massive festival stages and a smaller, more intimate venues. Not Usual takes the lead with “Freaks”, and the guys are not holding back. Intense percussions and a fierce synth comes together in this track holding proper punch. Alec Troniq is back with his unique, dirty and captivating sound, and “Snus Blues” rolls over you like a bulldozer of groove underlining funky blues inspired elements. One of two new additions to the SNOE family is Vlada Asanin. Based between Serbia and Spain this guy delivers a monster of a tune, and “eXtra Large” gives you as promised a massive bassline and proper drum work. Pischinger & Dermota makes up the second new artist addition to the SNOE catalogue, and “Follow Me” perfectly rounds up the release as a force of techno, synth meeting percussions and a darkness to it that makes it prickle under your skin. Enjoy the newest SNOEflakes!